Innovative oval shape takes up less room on the cooktop, makes it easier to boil lasagna and spaghetti noodles without breaking them. Convenient pour spout helps pour out liquids. 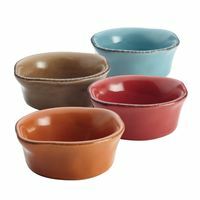 Sturdy porcelain exterior with its bold color adds fun and personality to the kitchen. Nonstick interior, food release is effortless, making cleanup a snap. 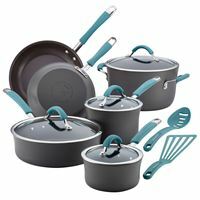 Brightly hued rubberized phenolic handles are comfortable to grasp and dual riveted for extra strength to easily move. Oven safe to 350°F, Hand Wash, Stovetop Suitable for Glass, Ceramic, Gas, Electric. 11" Square Deep Griddle with Glass Press. 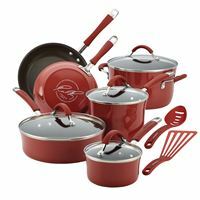 Sturdy porcelain exterior with its bold color adds fun and personality to the kitchen. 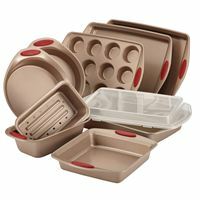 Nonstick interior, food release is effortless, making cleanup a snap. Brightly hued rubberized phenolic handle is comfortable to grasp and dual riveted for extra strength to easily move. Oven safe to 350°F, Hand Wash, Stovetop Suitable for Glass, Ceramic, Gas, Electric. 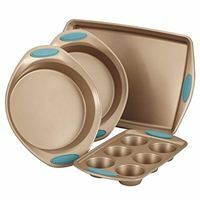 Set includes a convenient stainless steel steamer insert and sturdy glass lid. 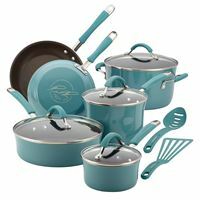 Sturdy porcelain exterior with its bold color adds fun and personality to the kitchen. Nonstick interior, food release is effortless, making cleanup a snap. 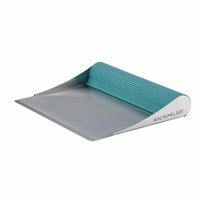 Brightly hued rubberized phenolic handles are comfortable to grasp and dual riveted for extra strength to easily move. Oven safe to 350°F, Hand Wash, Stovetop Suitable for Glass, Ceramic, Gas, Electric. Includes: 1 Qt. & 2 Qt. 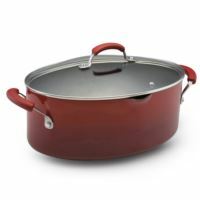 Covered Saucepans, 6 Qt. 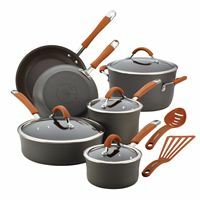 Covered Stockpot, 8.5" & 10" Open Skillets, 3 Qt. Covered Saute, 9" x 13" Cookie Sheet, 5" Serrated Utility Knife, Veg-a-Peel, Mini Spatula. 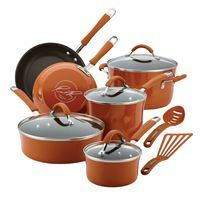 Sturdy porcelain exterior with its bold color adds fun and personality to the kitchen. 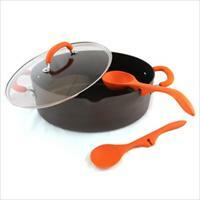 Nonstick interior, food release is effortless, making cleanup a snap. 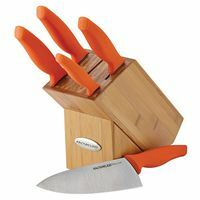 Brightly hued rubberized phenolic handles are comfortable to grasp and dual riveted for extra strength to easily move. Oven safe to 350°F, Hand Wash, Stovetop Suitable for Glass, Ceramic, Gas, Electric. Nylon; Dishwasher Safe. Limited Lifetime Warranty. 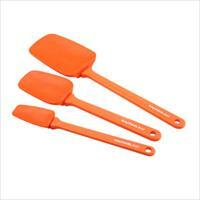 Large oval pastry brush, 12" Nylon Turner, 10" Nylon Turner. 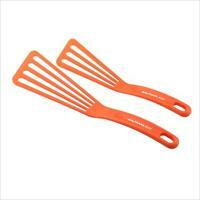 9.5" Spoonula, 12.5" Spoonula, 10" Spatula. Nylon with silicone; Dishwasher Safe. Limited Lifetime Warranty. 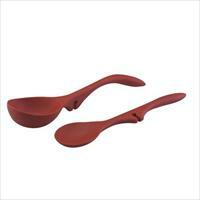 High-grade silicone construction flexes for scraping . Perch on pan's rim while cooking . Sustains heat up to 500 degrees F . Dishwasher Safe. Limited Lifetime Warranty. 24 oz. cruet is perfect for EVOO, extra virgin olive oil. Also vinegar, or anything that you want to drizzle or pour . Opaque bottle and nonporous glazed interior . Avoids oxidation and preserves taste. 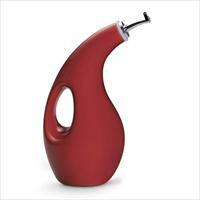 Funnel makes filling this bottle easy and mess-free . Dishwasher safe . 13-oz. bottle & 24-oz. bottle. Perfect for EVOO, extra virgin olive oil. Also vinegar, or anything that you want to drizzle or pour . Opaque bottle and nonporous glazed interior . Avoids oxidation and preserves taste. Dishwasher safe . 24 oz. 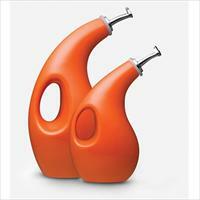 cruet is perfect for EVOO, extra virgin olive oil. Also vinegar, or anything that you want to drizzle or pour . Opaque bottle and nonporous glazed interior . Avoids oxidation and preserves taste. Dishwasher safe . 10"x15" Cookie Sheet, 9"x13" Cake Pan. 9"x5" Loaf Pan, (2) 9" Round Cake Pans. Extra wide handles for a confident grasp. Comfortable silicone grips add a splash of color . 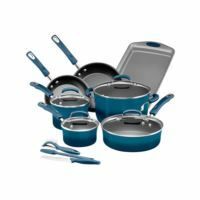 Long lasting nonstick inside and out. Oven safe to 500 degrees F; dishwasher safe . Reduce trips to the trash can while you're cooking . 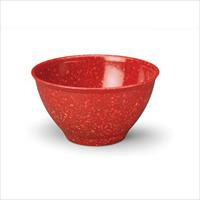 Rubberized base keeps your bowl from slipping . Melamine, Top rack dishwasher safe . 1.25 and 2.5QT Covered Saucepans, 6.5Qt Covered Stockpot. 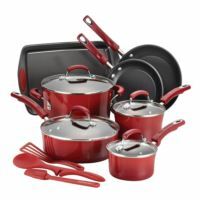 8.5" and 10" Open Skillets and 3QT Covered Sauté Pan . Satin-finish stainless steel with aluminum-capped bases . Stay-cool, grippy silicone handles, riveted for durability . Glass lids allow for at-a-glance monitoring . Oven-safe to 400 degrees F; Limited Lifetime Warranty . 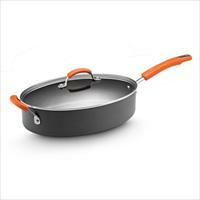 Hard-Anodized Construction for durability and even heating. A nonstick interior lets foods slide out of the pan easily. 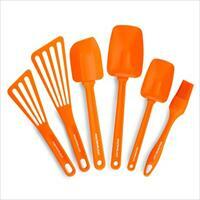 Grippy Silicone Handles are comfortable & oven safe to 400°F. 1 Qt., 2 Qt. & 3 Qt. 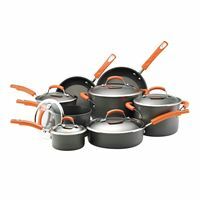 Covered Saucepans, 6 Qt. 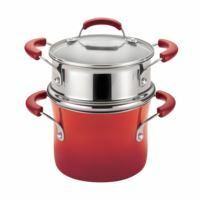 Covered Stockpot, 4 Qt. 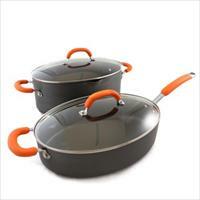 Covered Saucepot, 8.5" & 10" Open Skillets, 3 Qt. Covered Sauté Pan. 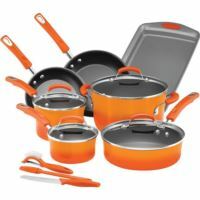 1.0 and 2QT Covered Saucepans, 6Qt Covered Stockpot. 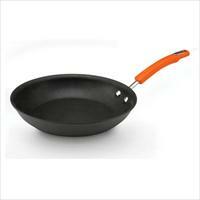 8.5" and 10" Open Skillets, 3Qt Coverered Saute Pan. 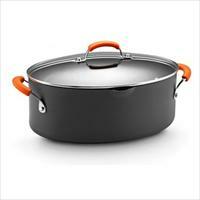 Hard-Anodized Construction for durability and even heating. A nonstick interior lets foods slide out of the pan easily. 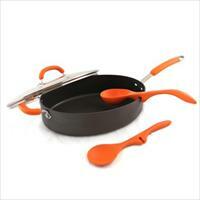 Grippy Silicone Handles are comfortable & oven safe to 400°F. Lifetime Limited Warranty . 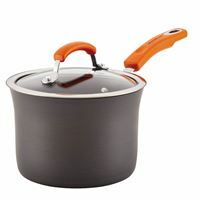 Hard-Anodized Construction for durability and even heating. A nonstick interior lets foods slide out of the pan easily. 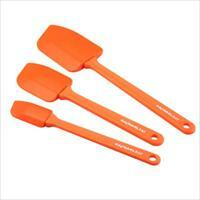 Grippy Silicone Handles are comfortable & oven safe to 400°F. Lifetime Limited Warranty . 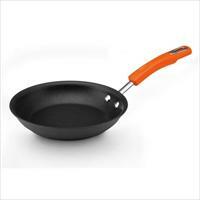 Hard-Anodized Construction for durability and even heating. A nonstick interior lets foods slide out of the pan easily. Grippy Silicone Handles are comfortable & oven safe to 400°F. 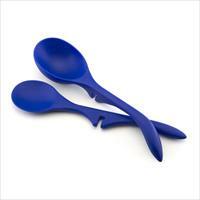 2-Piece Nylon Turner Set, Lifetime Limited Warranty . 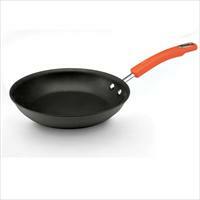 Hard-Anodized Construction for durability and even heating. A nonstick interior lets foods slide out of the pan easily. 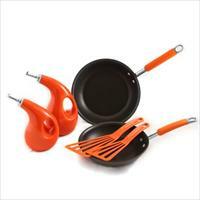 Grippy Silicone Handles are comfortable & oven safe to 400°F. 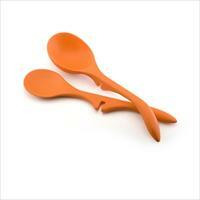 2-Piece Lazy Spoon and Ladle Set, Lifetime Limited Warranty . 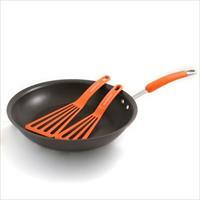 8.5" and 10" Open Skillets, 2-Pc Nylon Turner Set. 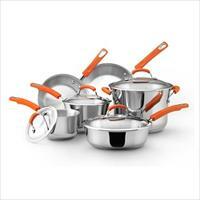 Hard-Anodized Construction for durability and even heating. A nonstick interior lets foods slide out of the pan easily. Grippy Silicone Handles are comfortable & oven safe to 400°F. Lifetime Limited Warranty . 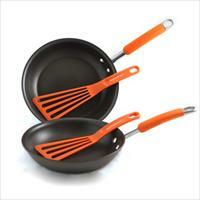 8.5" and 10" Open Skillets, 2-Pc Nylon Turner Set. 2-Piece EVOO & Vinegar Dispensing Bottles . 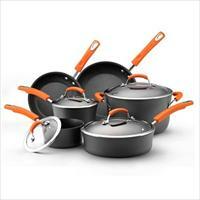 Hard-Anodized Construction for durability and even heating. 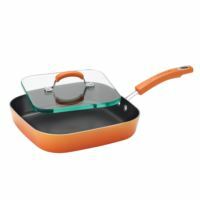 A nonstick interior lets foods slide out of the pan easily. 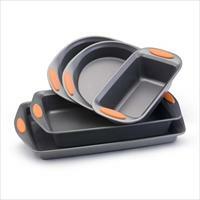 Grippy Silicone Handles are comfortable & oven safe to 400°F.